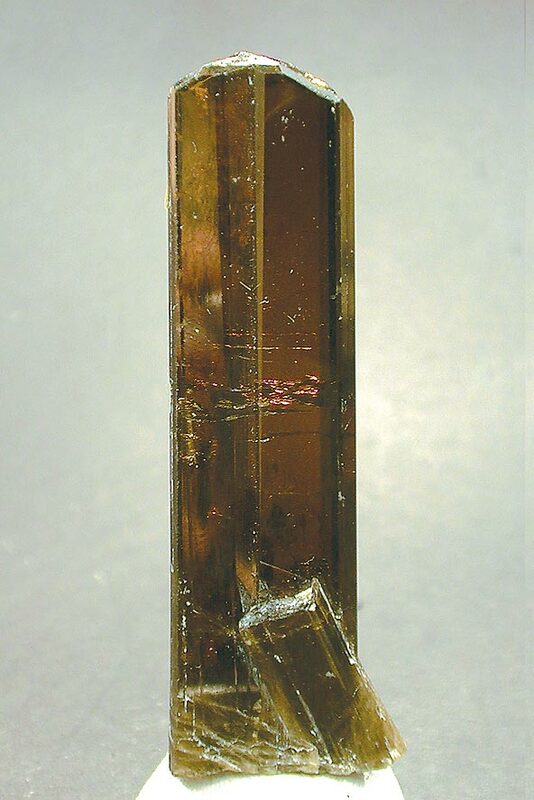 Comments: Brown, prismatic crystal of clinozoisite. Location: Alchuri, Shigar Skardu district, Pakistan. Scale: Crystal size 7x2.3x1.2 cm.